He was reminding us that ISIS, while condemned by the majority of Muslims, is a product of an Islamic religious discourse that dominated our public sphere in the last decades – a mainstream discourse. All the social and cultural institutions and powers including education, media, military and political forces have been recruited to ethnically cleanse Kurdish people in Middle-East. Let us not forget that we are talking about a population of 40 million Kurdish people which is a fact that makes it more and more difficult for the oppressors to deny their human rights as an ethnic minority. However, during the history of Middle-East, the central governments have shown no hesitation in using all sorts of actions, although against the very fundamental principles of human rights, to oppress and marginalise Kurdish people. These include military attacks on unarmed people and massively executing innocent people in different historical periods. Respect and tolerance are attributes charged with the potential to unite people and to establish meaningful peace; yet minorities in Muslim majority countries, particularly Christians, are all too often forcibly starved of both. For example, in Sudan Mrs. Meriam Yehya Ibrahim, a Christian woman who is eight months pregnant, has been detained along with her 20-month-old child, and sentenced to receive 100 lashes for adultery, followed by death for the act of apostasy. A simple issue that would have been thrown out on first hearing in any court that upholds justice has been morphed into a case of vital social and ethical consequences for Sudan. If upheld, the sentence will be another nail in the coffin suffocating vulnerable minorities. But the fact is that Mrs. Ibrahim has not committed any crime at all, but the courts have indeed acted with gross indecency that go against the very basic teachings of Islam. As a devoted Muslim, I often wonder how we could have arrived at this position. In 2012, 30-year-old Saudi Arabian blogger Raif Badawi was arrested for starting a progressive website that called for, among other things, religious tolerance and women’s rights. That was insulting to Islam, said his critics. In May 2014 Mr. Badawi was sentenced 10 years and was also sentenced to 1,000 lashes and ordered to pay a fine of 1 million riyals ($266,000; £133,000). At present, Mr Badawi is in a cell in a Jeddah prison, six months into his ten-year jail sentence. He is awaiting the first of his floggings. The thousand lashes are due to be dealt to him in batches of fifty, every Friday, in a public square. Reporters Without Borders awards the annual Netizen Prize in recognition to an Internet user, blogger, cyber-dissident, or group who has made a notable contribution to the defense of online freedom of expression. Following the invasion of northern Iraq by the Islamic State, Assyrian Christians and other minorities have found themselves in grave peril. 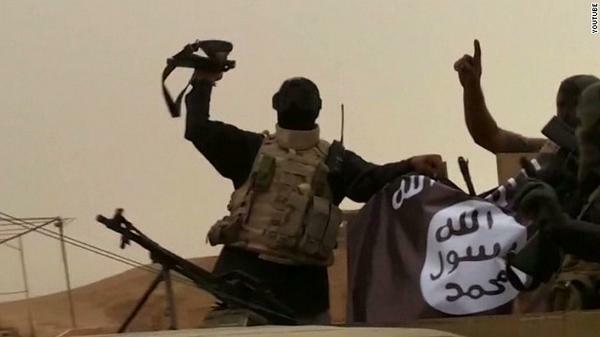 On June 10th, the Islamic State captured Mosul from the Iraqi state. Those Christians who returned after the dwindling of violence following that original onslaught – lacking the means to secure accommodation elsewhere – found their property tagged with an ‘N’ for ‘Nassarrah,’ the Quranic word for Christians. Last Saturday, the Islamists declared that Mosul’s Christians had three choices: to convert to Islam, pay a hefty jizya tax, face murder, or flee permanently. A mass exodus of Christians ensued.They were not permitted to keep any of their possessions. Watching the recent wave of anti-Islamic demonstrations by a group called PEGIDA (Patriotic Europeans Against the Islamization of the Occident) in Dresden, Germany, I cannot help but wonder how it can be that up to 17,500 people feel motivated to protest against the ‘Islamization of Europe’. One should think that Germany, being the country with the worst history of fascism, racism and deadly persecution, should know better than that. Friday 30 May 2014 was just one day. For many it may have been a day full of hope, a day of joy and a day of unexpected surprises. But for far too many this was just another devastating day. On this day, I heard the story of a courageous Palestinian woman sharing about life in Palestine. A normal day for woman venturing out here includes being ‘touched’ by strangers just for being on public transport. This Palestinian woman said that last year there was a 300% increase in ‘honour killings’ in Palestine. She said this is a place where women have no real value or rights. And to speak as she has publicly about the plight of her people has brought death threats and forced her to seek refuge in the UK. But sadly, she now has death threats there too. That’s the down side of multiculturalism. The Alevi have been discriminated for centuries; not only in Turkey, but in many Islamic countries. Information about them and their traditions was so inadequate and unreliable that they are considered heretics by other Muslims. For this reason, Alevi practice taqiyya, the dissimulation of their faith and customs. Even today it is unclear how many Alevi there are in Turkey, with different sources claiming they make up 3% to 30% of the population. In September this year, Plan Norway created a fake blog to convince the Norwegian public that a 12-year-old girl was to marry a 37-year-old man in October. The pre-teen, Thea, posted regular updates on her blog, explaining her worries about living a life of ‘wifedom’, and soon having to become pregnant. Thea’s blog quickly became the most read in Norway, mobilising people against child marriage and demonstrating the outrage that the practice can generate when brought into light. The stunt aimed to give a personal face to the 39,000 children – overwhelmingly girls – who are forced into child marriage worldwide every day. Most in the developed world remain ignorant to the issue, with teenage girls’ suffering going tragically unreported. My’ Bakonzo tribe of equatorial Africa’s Mountains of the Moon, aka the Ruwenzori Mountains, the glaciered and snow-peaked range on the Uganda-Congo border, exemplify ethnic groups which so easily can be eliminated by sheer demographic ruthlessness, amid a welter of suffering and sorrow. By God’s grace and a twist of political fortune, in which I have been privileged to play a key part, that potential suffering has been countered and, today, eliminated. The suffering of course is the result of the destruction of a people’s sense of who they are, be that in the form of the loss of their territory, language, way of life, or cultural or administrative autonomy. The Bakonzo now have their presence in their mountains in their own `Kingdom of Rwenzururu’ recognized by the government of Uganda, within whose borders the majority of Bakonzo have their traditional homeland. This entry was posted in Alevi, Child marriage, Christian, From GMA, Human Rights, Iraq, Islam, Saudi Arabia and tagged Assyrian Christians, Bakonzo, Human Rights, ISIS, Kurdistan, PEGIDA, Raif Badawi by BlogGMA. Bookmark the permalink. people on this topic, but you seem like you know what you’re talking about!